Teaching about living and nonliving things in Kindergarten lends itself to many kinds of lesson plans and activities. It's fun to see the light in a student's eyes as he or she understands that living things move, breathe, have the capacity to grow, and eat and drink and that nonliving things do not. This lesson plan will be flexible largely due to teacher choice and availability of materials; however, the procedure will be the same regardless of the materials chosen. For example, this teacher prefers not to work with live worms, but other teachers may not mind. Some samples of animals that can be safely brought into the classroom are listed below, but definitely get permission from an administrator before doing so. Most administrators understand because teaching living and nonliving things is a part of the Kindergarten science curriculum. If bringing a live creature into the classroom is an impossibility, then be sure to take students to visit one. This can be accomplished through a visit to the pet store, the zoo, or the farm as a field trip. The best literature for this lesson plan will be a nonfiction book about the animal chosen and a fiction book about the animal chosen. For example, a perfect selection would be a Rabbit Handbook and the Velveteen Rabbit (pictures shown). 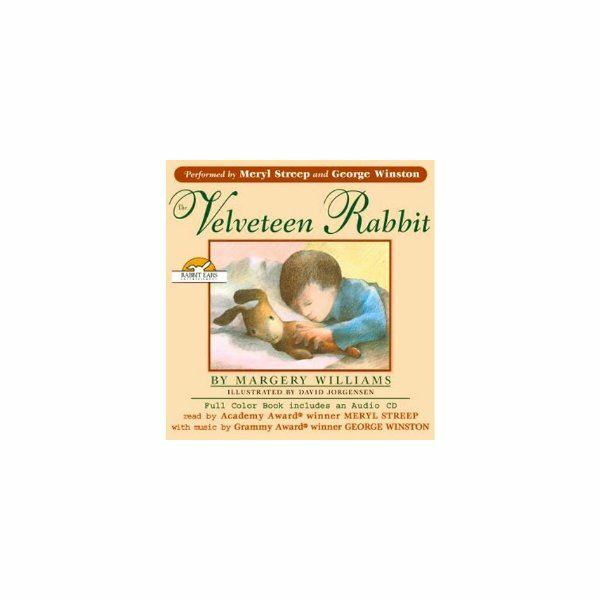 In the tale of the Velveteen Rabbit, the toy rabbit longs to be real, making it an excellent choice. 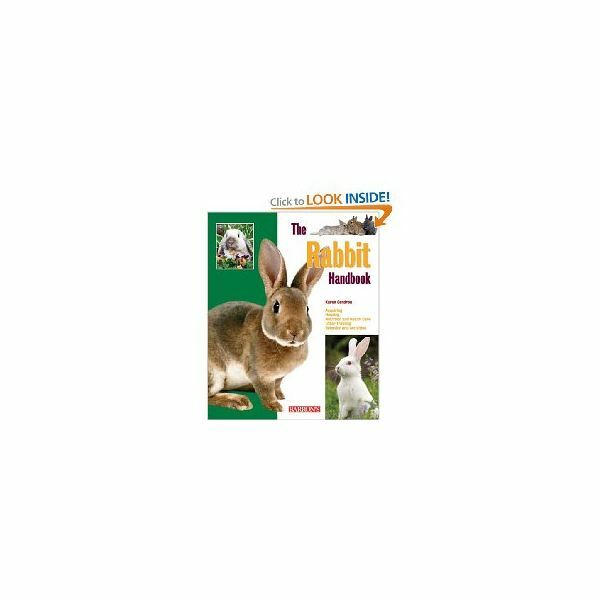 The rabbit handbook can be read to the class in parts and steps on how to care for a rabbit can be charted. Regardless of the animal study to be undertaken, the literature must support the study. Also, have science pictures displayed for the students to observe. Teaching about living and nonliving things in Kindergarten lends itself nicely to a nonfiction reading unit. Show the students the living and nonliving thing. Discuss the meaning of living and the meaning of nonliving. Place the nonliving stuffed toy in a safe place, like a cardboard box with some food and water. Have the students observe if it moves, eats or drinks. Have them draw a picture in their science journals and indicate their findings. *Note- you may have to refill the water only due to evaporation. Follow the same procedure for the living thing. After one week, have the students review their journals and lead a guided discussion about the differences between the live animal and the stuffed animal. Point out that you would expect that the nonliving thing did not move, eat or drink because it is not alive. Chart the differences and post in the science center. Take a walk around the school or play-yard and have students name living and nonliving things. Beforehand, have a conversation or lesson plan about plants and trees. Living and nonliving instruction should be a Kindergarten unit. As an extension, have the students find living and nonliving pictures in magazines and glue/label them in their science journals, or have them draw and label pictures of what happened in this discovery lesson. 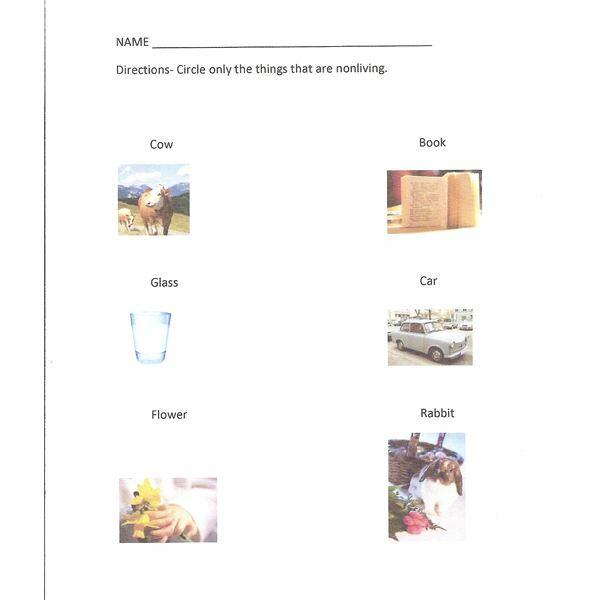 Have students do a worksheet about living and nonliving things (to right). A clearer image of this assessment can also be downloaded in the K-12 Media Gallery. Feel free to modify it or advance it as necessary to differentiate for ability level. Add this online picture sort to assess the skill of sorting living and nonliving things to your computer center time. This one will require supervision, because the system at first marked a butterfly and a snail as incorrectly placed into the living category. An online quiz for living and non-living things to do with an older or more advanced group can be found online at The Open Door Website. Information here is provided by Laurie Patsalides' classroom experience. Read more by author, Laurie Patsalides about nonfiction reading strategies for Kindergarten teachers right here on Bright Hub.